My writing process is very interesting. Sometimes I think of a topic or subject matter and write about it on the spot and immediately post, and other times I do it with in a few days if I am not able to actually write for one reason or another. Then there are the times I have a topic or thought, and for some reason it takes weeks or months before I actually put it out, which may be because I lose interest, I forget my thought process, I haven’t been convicted enough, or I just don’t have as much as I thought in order to make it longer than a Facebook post, so they sit in my drafts, and to be honest, I have about four like that now. Most of my ideas come from my personal devotion, books, a point in a sermon, or topics within the society, and of course I am inspired elsewhere like movies and music. I am not sure if you care about this or not, but if you are still reading this, I guess you do, so I will keep it moving. When you think of the great people of the past, including Biblical characters, what you won’t find is someone acting like someone else, but rather ordinary people who decided to step outside of the box and step out on faith to be who God had called them to be. Now were they always “great”? No, but at some point in their life, they chose to go against what their culture or the society said they were. It was these individual’s who changed the world, whether they knew it or not, and we still talk about today. However, as time progresses, man y of these people and their names, let alone their impact are being forgotten. As do the waves of an ocean, the footprints they made in the sand are being washed away. Is that to say their life meant nothing and their work counted for nothing? Of course not, but even the Bible talks many times about how fleeting life is and how quickly we are forgotten. Nevertheless, it raises the question, what now? Whose footprints will be the ones that guide and lead and influence the generations to come? The answer, you. We can not depend on the people of the past, using them as a crutch. God wants your feet. God wants you who He created for such a time as this, to leave fresh prints that people can follow toward Christ. Your mark will be made by the life you live. You cannot leave footprints with someone else’s feet. And you can’t lead if you are not willing to move your feet. The disclaimer, you can’t keep looking behind to see who is following, but rather just to keep walking and following the Leader, which keeps you from pride and ego-tripping. The crazy part is that even when you look back to see who is following, that’s when the Enemy messes with your mind most, making you feel no one sees you, or you are not making any impact, and as a result, we tend to give up and or start living a meaningless life, because we think it’s not worth it. Yet, the reality is that most of the people who are behind you watching, are you can’t see because you don’t know them, and may never meet them. I can’t iterate enough how many people are looking at you and the life you live, whose name you don’t even know, let alone talk to. Trailblazing does not mean becoming a superhero overnight or doing something substantial, big, or extraordinary. Instead, it’s about being deliberate and intentional in just being the person God has called you to be, and being obedient to even the smallest tasks. Every word spoken, every thing done, and every reflection of Christ that the Lord tailored to fit your true identity in Him, leaves deeper footprints that will last through generations. 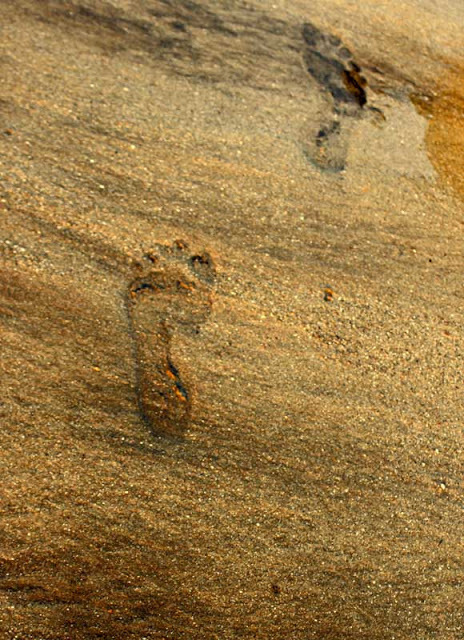 The footprints of those that have gone before us are disappearing, and it demands a new generation of greatness to take their place and make their footprints in the sand, leaving impressions on the hearts and minds of people. 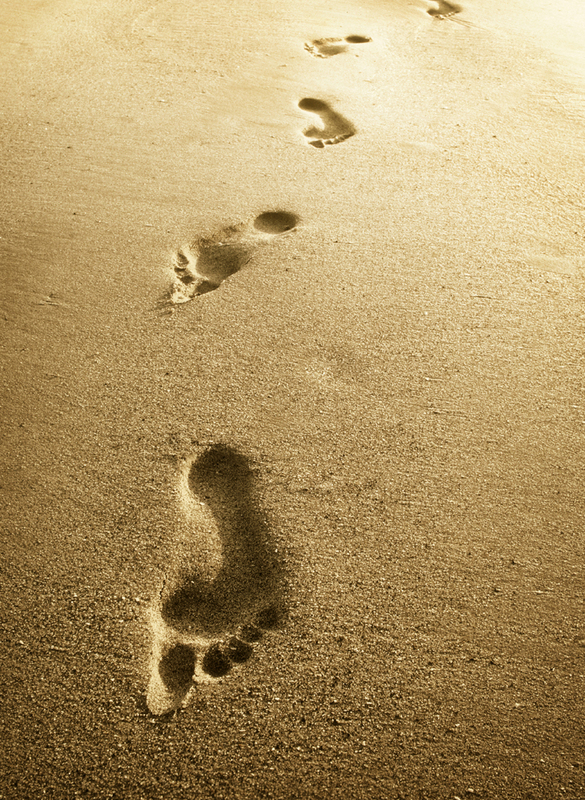 Be you for a purpose and leave footprints worth following.